Mass order according to the order quantity. Can load around 2000pcs per time on testing. , Ltd, took part in The Canton Fair twice per year, and also attended to Germany and Japan Fairs. After one year,charge for hardware costs only. 2.5% to 8% discount about sample you will get after bulk order 3.customized service,OEM/ODM services offered We'll reply you within 24hours. If any questions or concerns pls contact us at any time convenience to you. 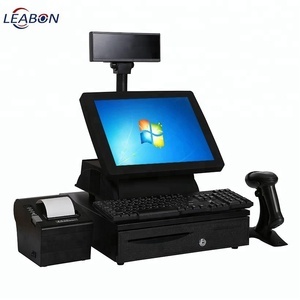 Elanda touch screen POS machine Product Parameter Mother Board Industrial grade motherboard J1900 (upgrade optional forI3 and I5 ) CPU Intel J1900 quad-core 2.0GHz(upgrade optional for i3 and i5) Memory DDR3-2G (upgrade optional up to 4GB/8GB) Hard Disk SSD 32G (upgrade optional up to 64/ 128GB) Display Screen 15 inch LED Resolution Ratio: 1024*768 Touch Screen True capacitive touch screen Customer Display 8 digital display/ VFD220 Ports VGA 1 RJ45 1 COM 1 USB 6(2 out of screen right side) PS/2 1 HDMI 0 LPT 1 MIC 1 Audio output 1 OS support Window7/8/10/XP Android Linux Power Supply Power Supply(110-240VAC 50-60Hz) 12V 5A Color Black Package cash drawer 3 gear top quality cash drawer optional thermal printer 58mm thermal printer optional 80mm thermal printer optional barcode scanner wire/wireless one-dimention barcodescanner black optional wire/wireless two-dimention barcode scanner black optional card reader optional Package dimension 450(L)*430(W)*470(H)mm G. W Single screen: 10KG Dual screen : 12KG Quality Certificate : CE , FCC and ROHS Company Introduce Certification Sales Dept : Miss Lotus Email : lotus @ Skype: zhang. xiao52 Tel: 0086-0755-23321833-631 Whats up/Mobile: +86-15136750322 Click the below " Send " to get samples! 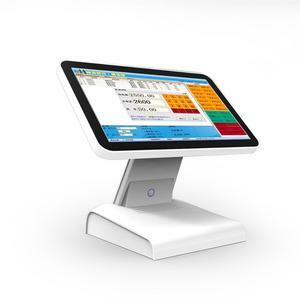 Touch POS CITAQ T1 is specially designed for restaurants, specialty shops and retail store, which combines the host unit, monitor, MSR and customer display together with no cable exposure. 2) CITAQ apply humanity design idea on every single detail, for abunant interfaces, reasonable distribution and reserved space to plug cables. 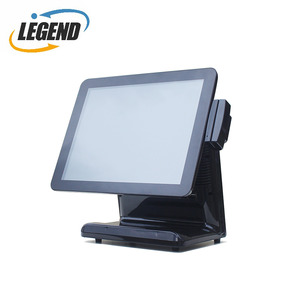 3) This POS even provides a printed paper slot in front of the machine to display your store's promotional campaigns and advertisements to the customer. 4. 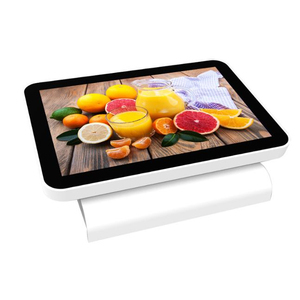 What is the warranty9 We provide 1 year warranty for all our products, and 3 years warranty for resistive touch screen. 5. What is your payment term9 We accept full payment before shipping out the goods, we accept bank transfer, L/C, paypal, money gram. 6. What is the delivery time9 Normally we will ship out the goods within 3 working days, some stock products we can ship within one day. 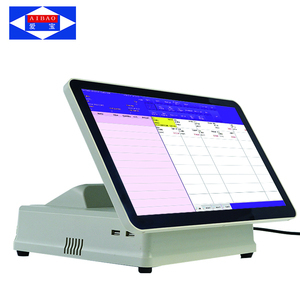 6 YRS Nanjing Shangchao Shidai Electronics Co., Ltd.
Alibaba.com offers 19,882 digital touch systems products. About 1% of these are parking equipment, 1% are desktops, and 1% are access control system. 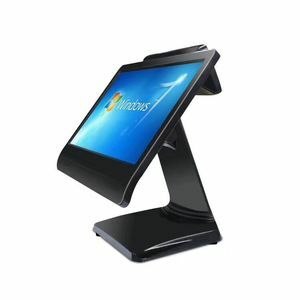 A wide variety of digital touch systems options are available to you, such as ce, cb, and gs. You can also choose from industrial, indoor, and outdoor. As well as from stainless steel, metal. 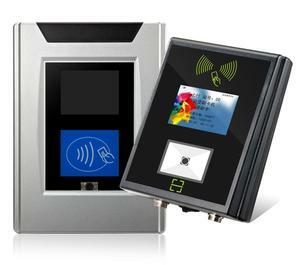 And whether digital touch systems is free samples, or paid samples. 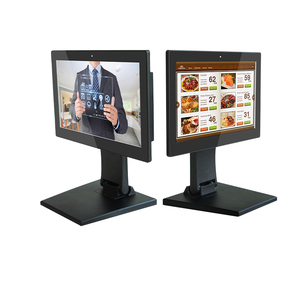 There are 19,882 digital touch systems suppliers, mainly located in Asia. 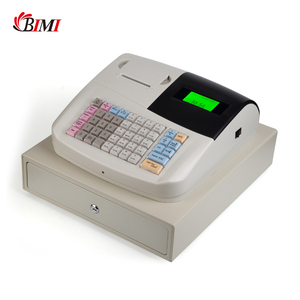 The top supplying country is China (Mainland), which supply 100% of digital touch systems respectively. 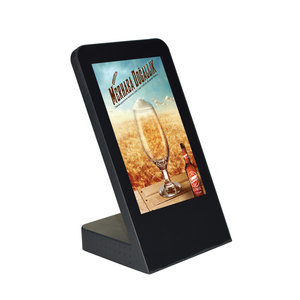 Digital touch systems products are most popular in North America, Western Europe, and Domestic Market. You can ensure product safety by selecting from certified suppliers, including 4,380 with ISO9001, 1,258 with ISO14001, and 1,104 with Other certification.